 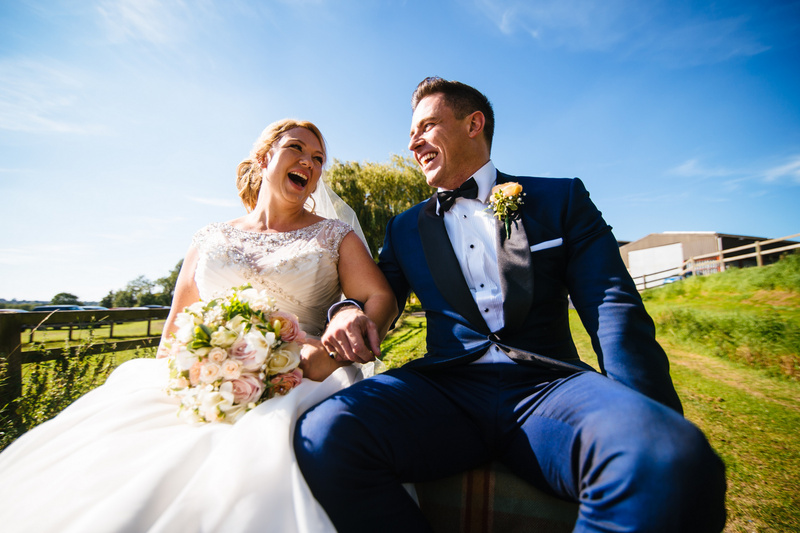 Jenny & Ian got married on the bank holiday Monday, August 2017, they could have not wished for a more perfect day the weather was fantastic. 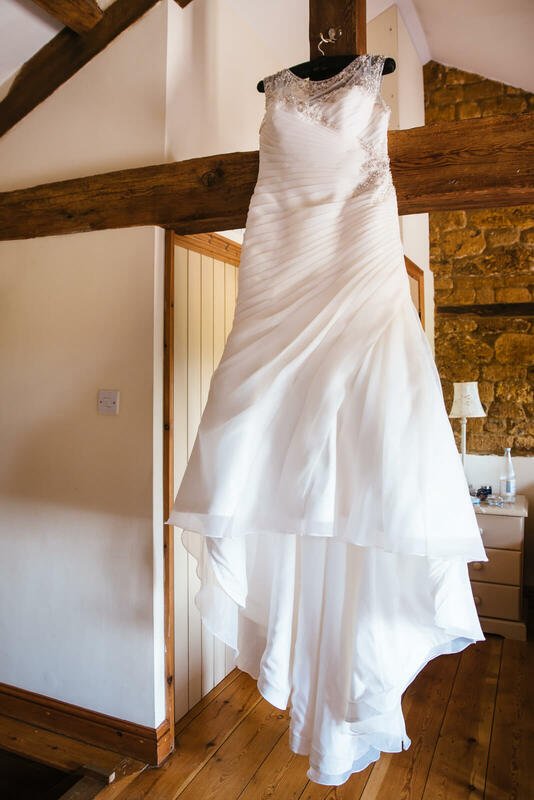 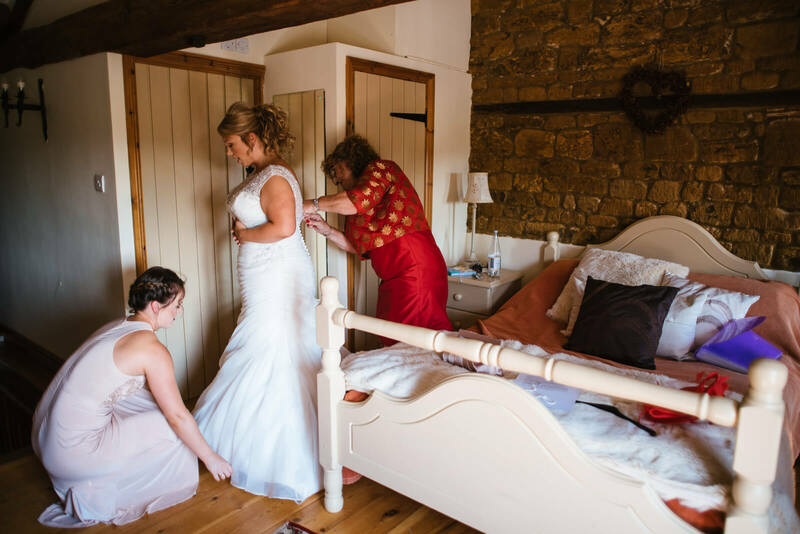 They both stayed the night before, Jenny with her bridesmaids up at the farm and Ian at East of Eydon cottage a mile down the road. 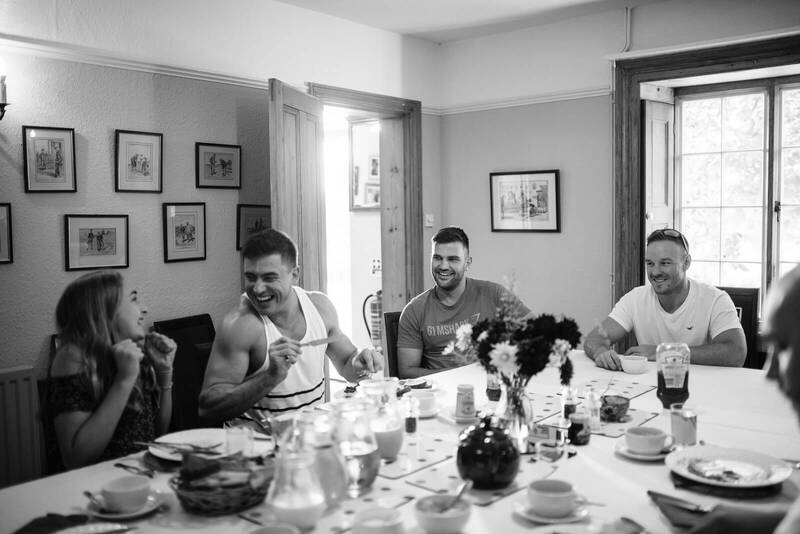 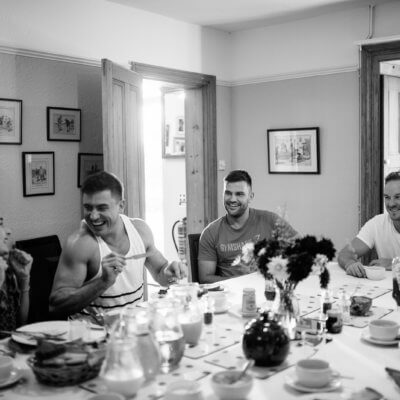 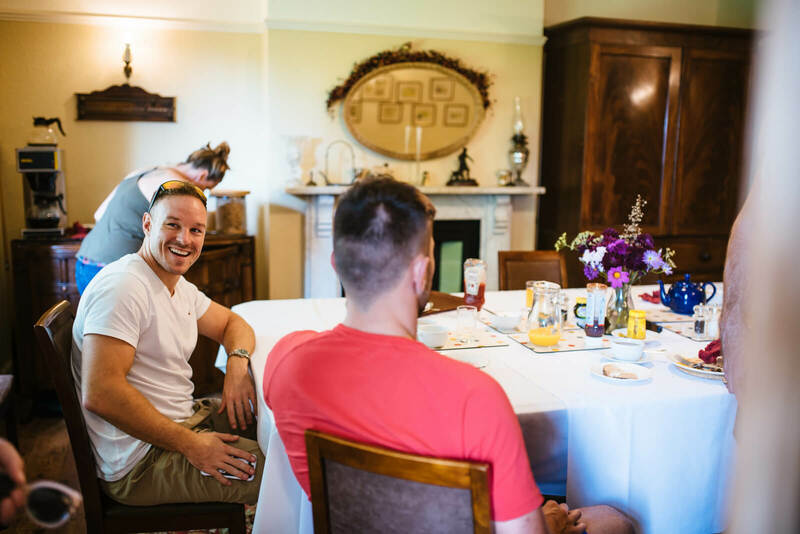 Both enjoyed delicious Crockwell breakfasts, the best way to start their wedding preparation. 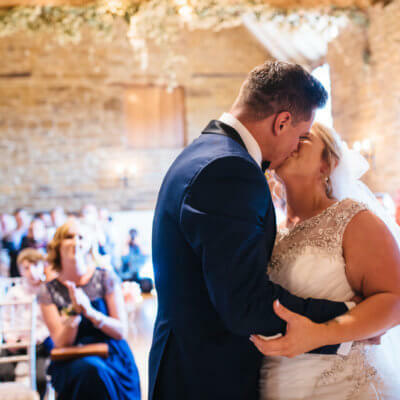 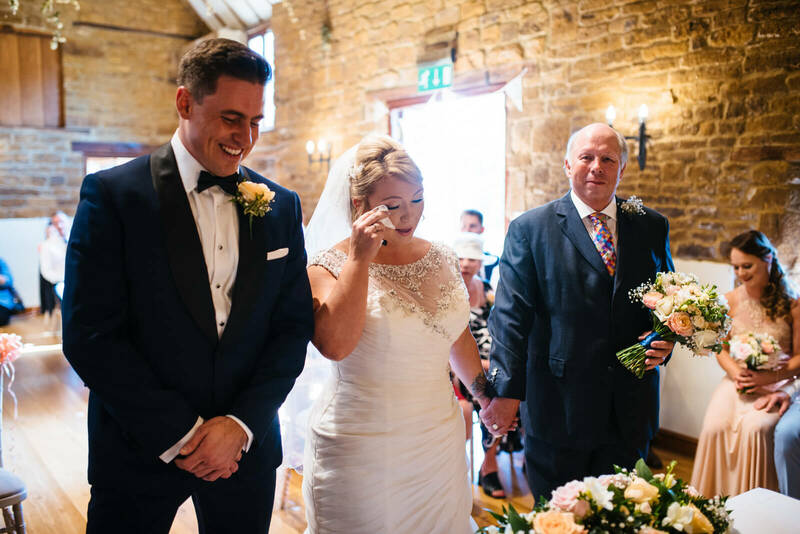 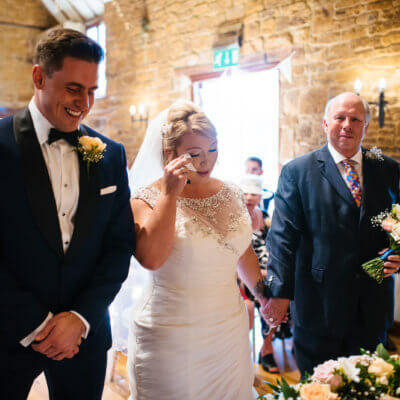 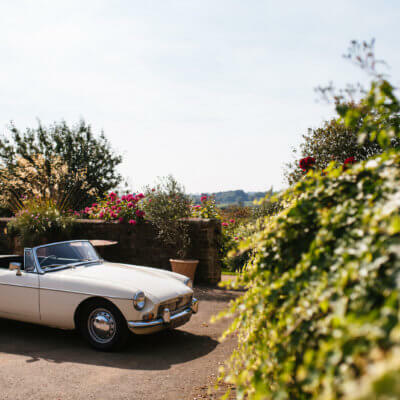 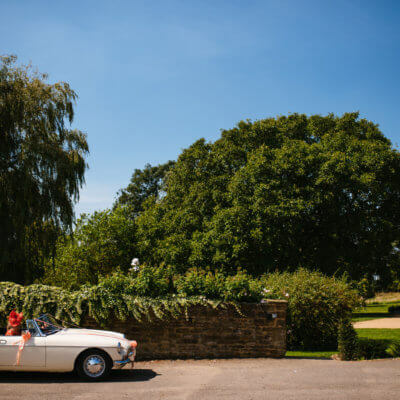 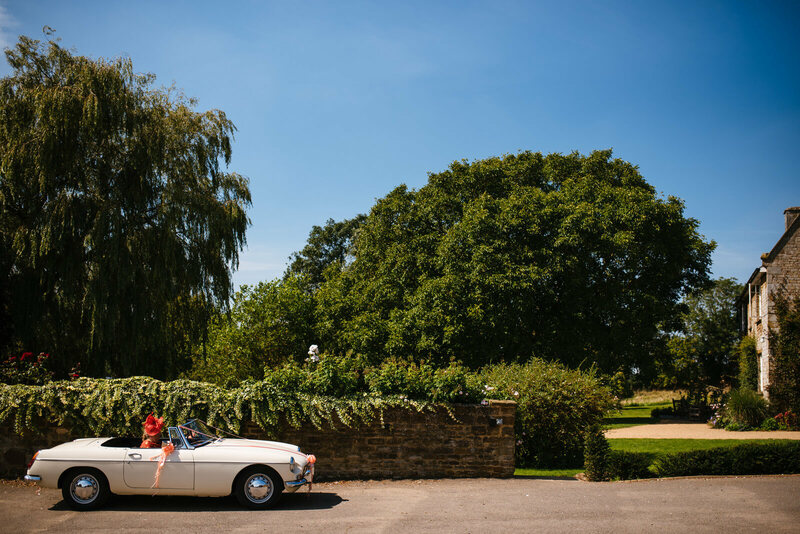 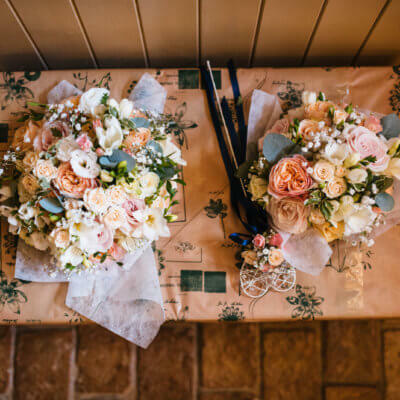 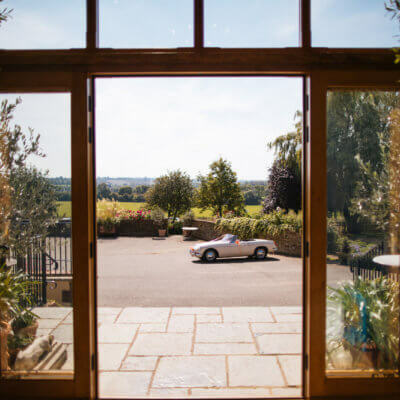 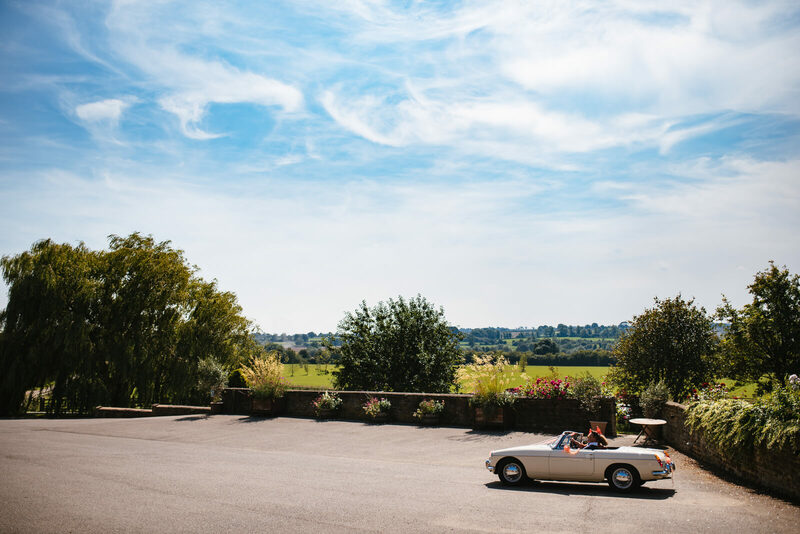 Jenny’s mum Stella brought Ian up from the cottage in her beautiful vintage car to greet his guests before Jenny & Ian got married in the vaulted barn surrounded by their family and close friends. 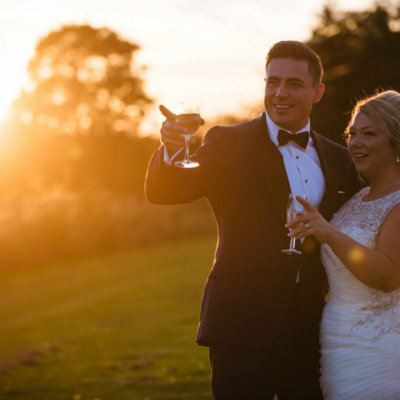 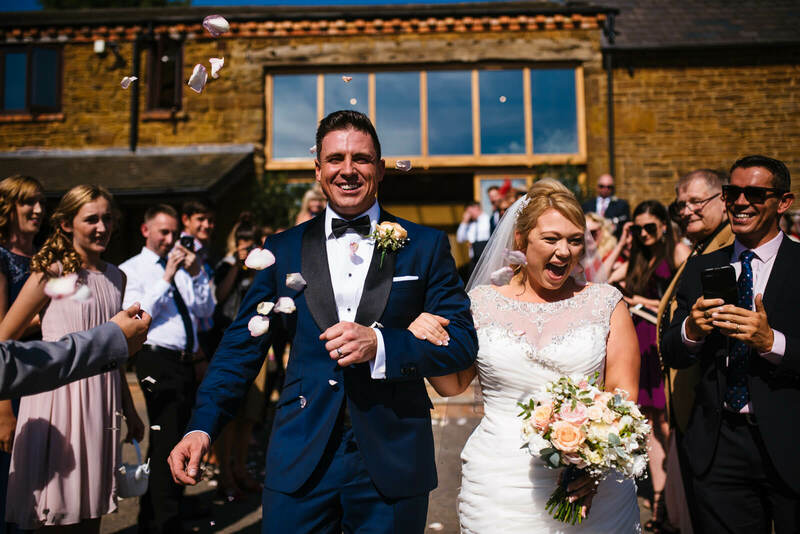 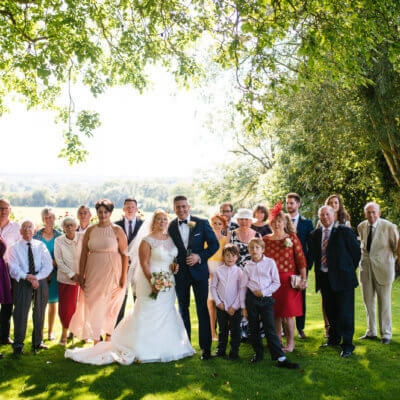 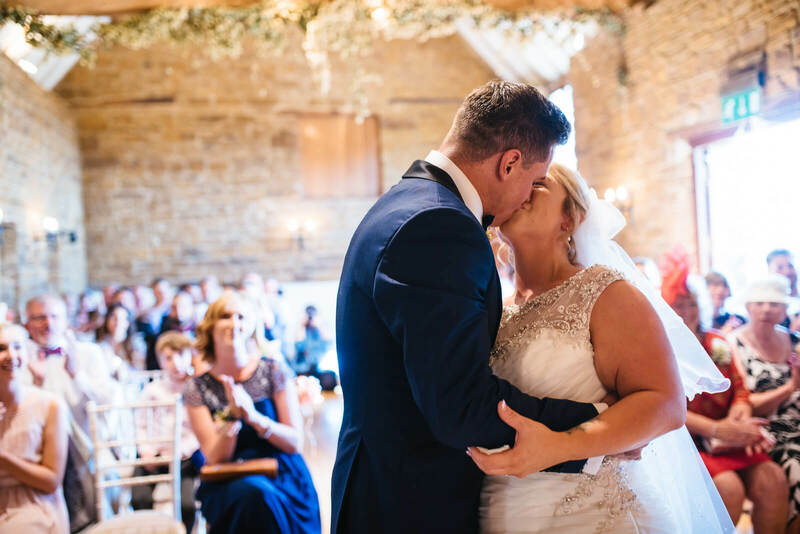 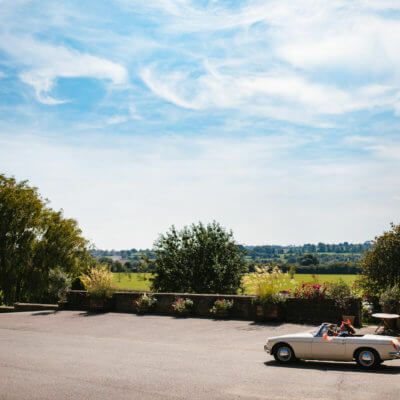 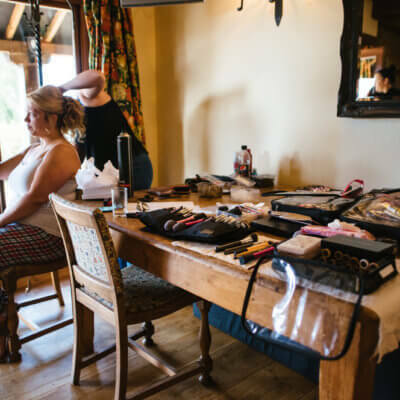 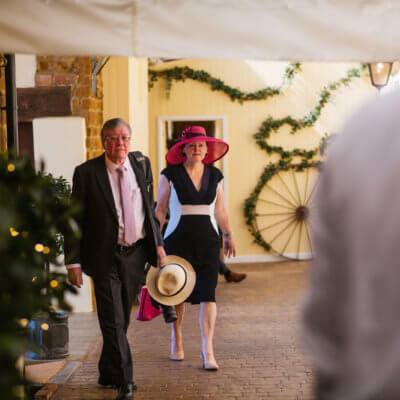 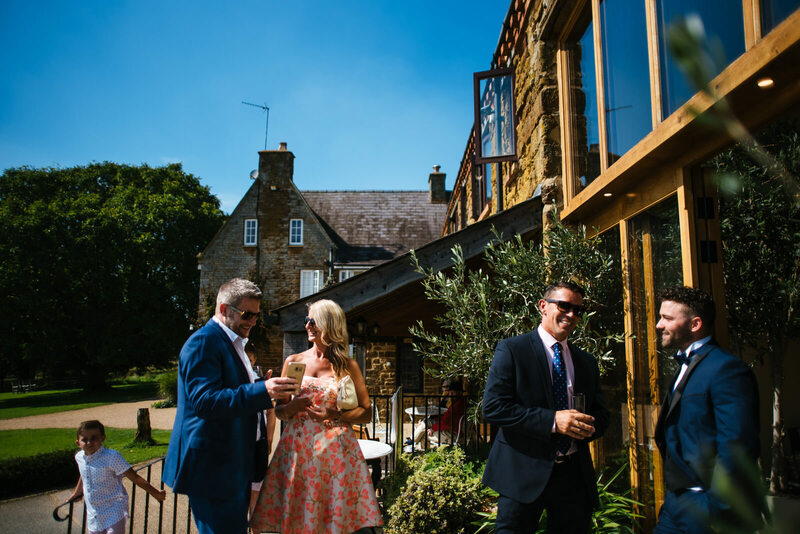 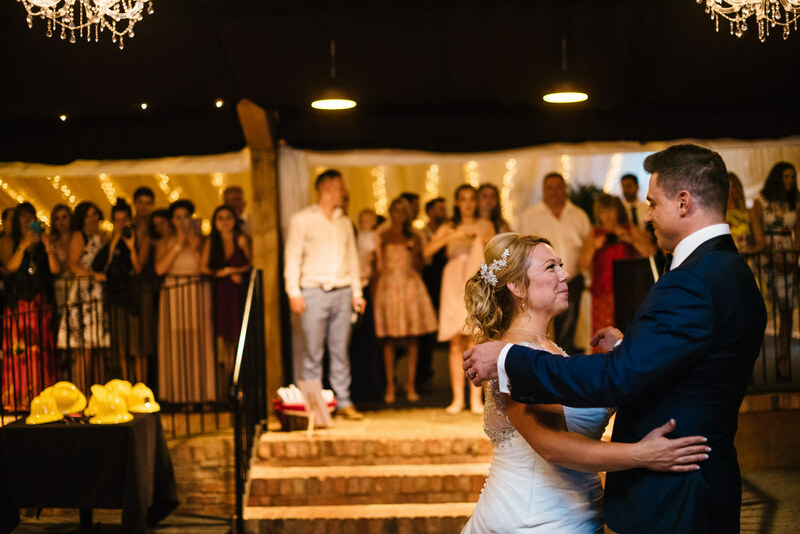 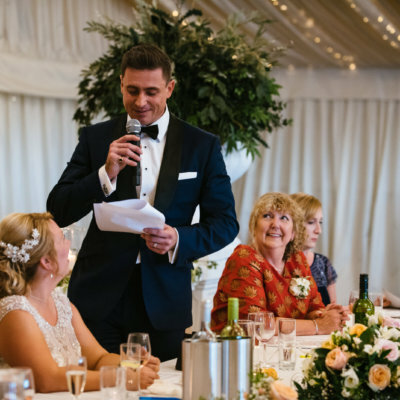 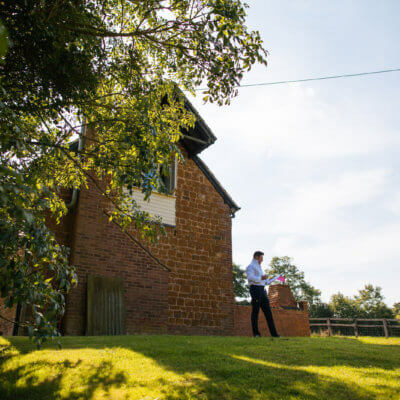 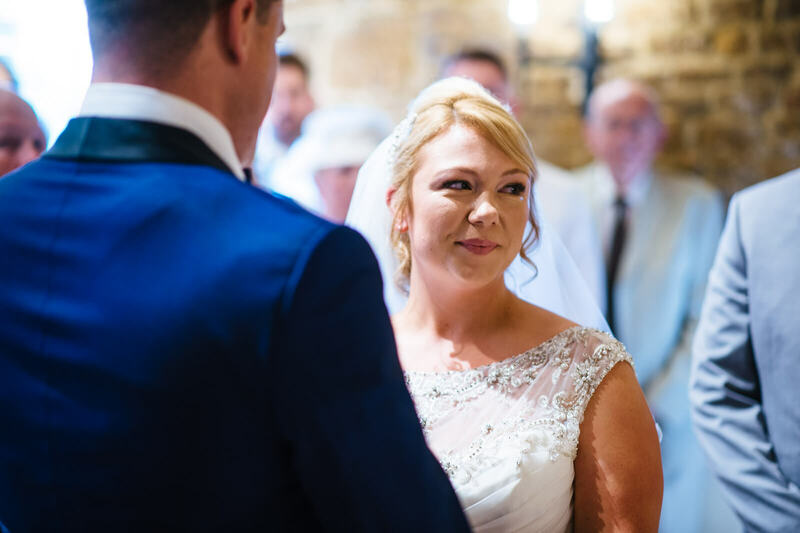 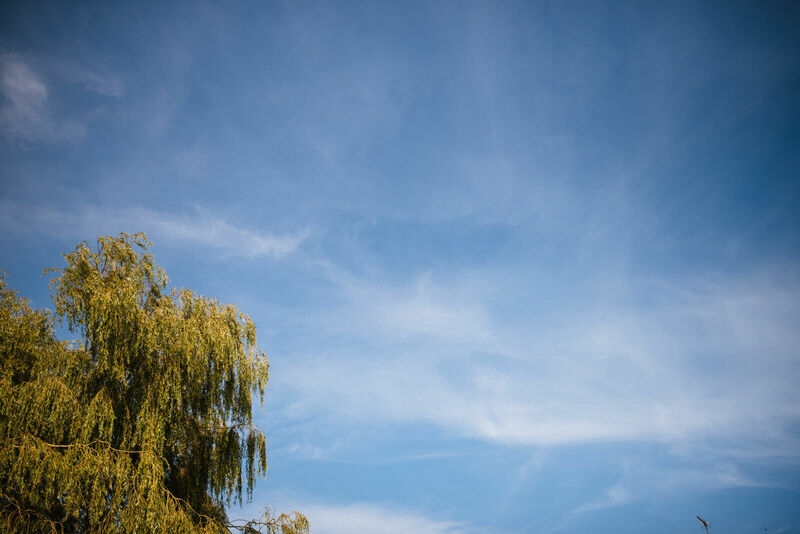 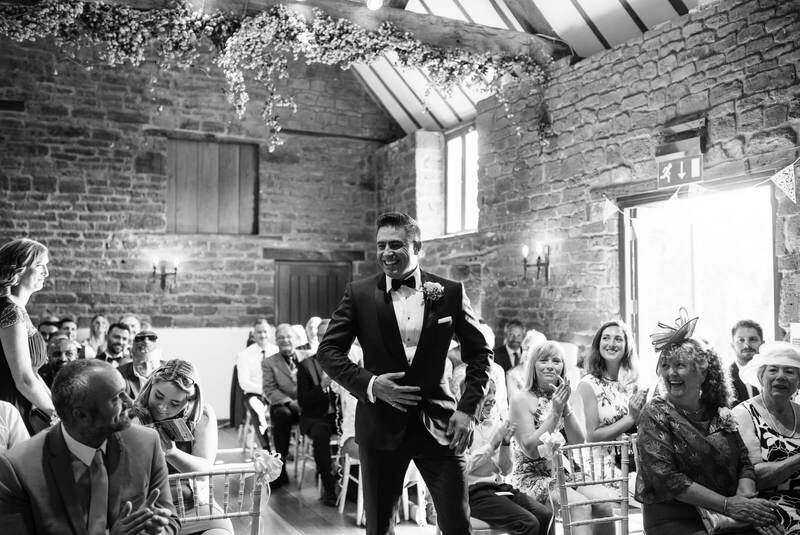 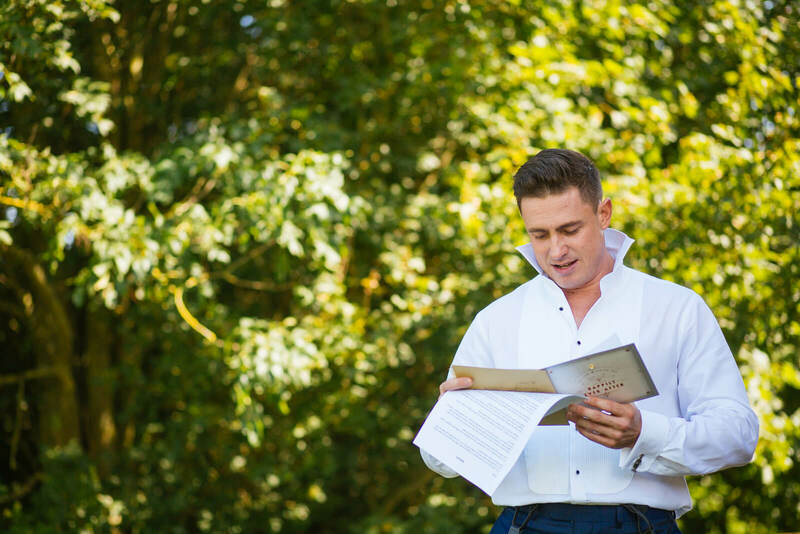 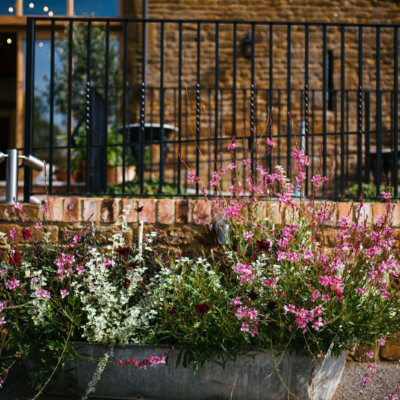 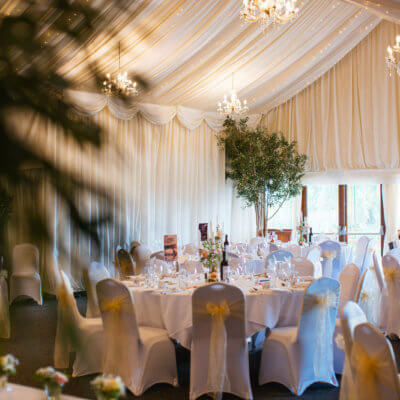 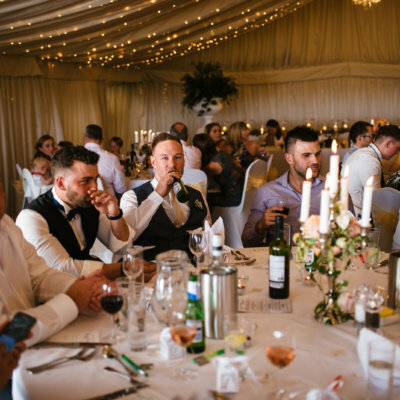 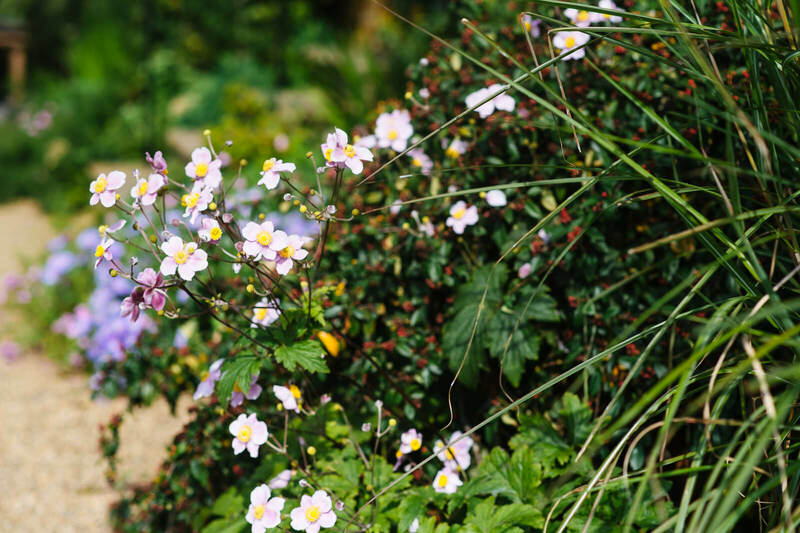 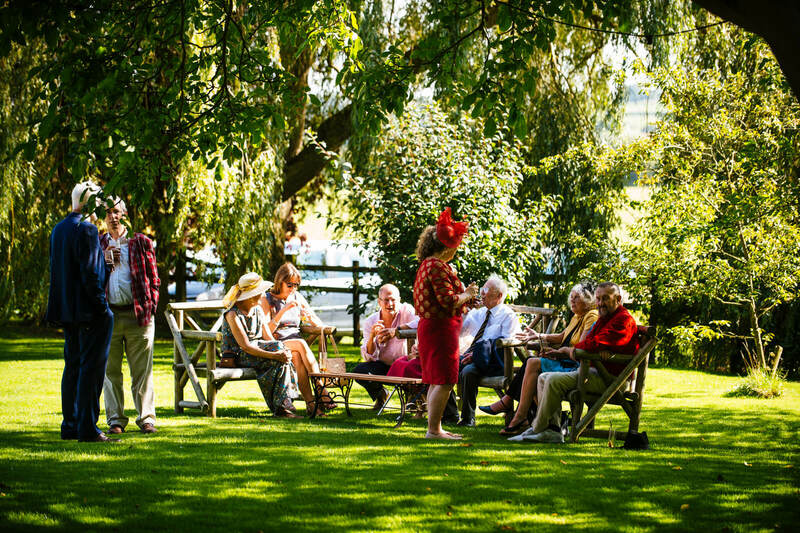 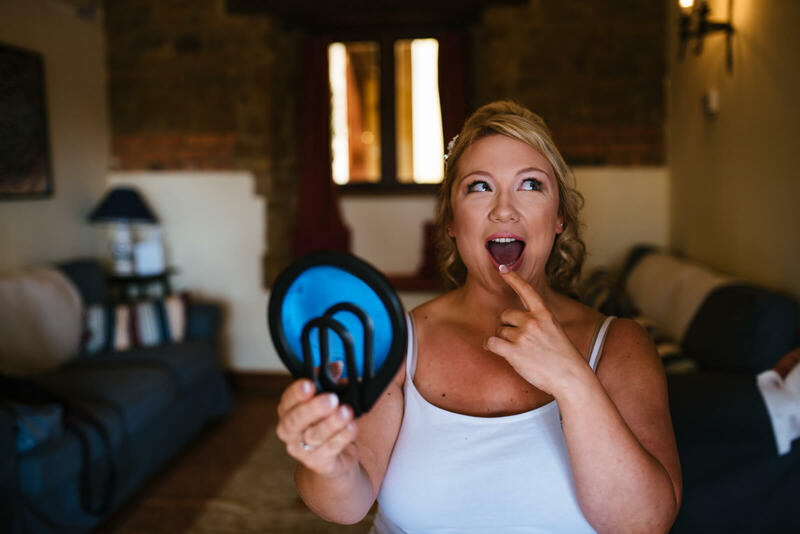 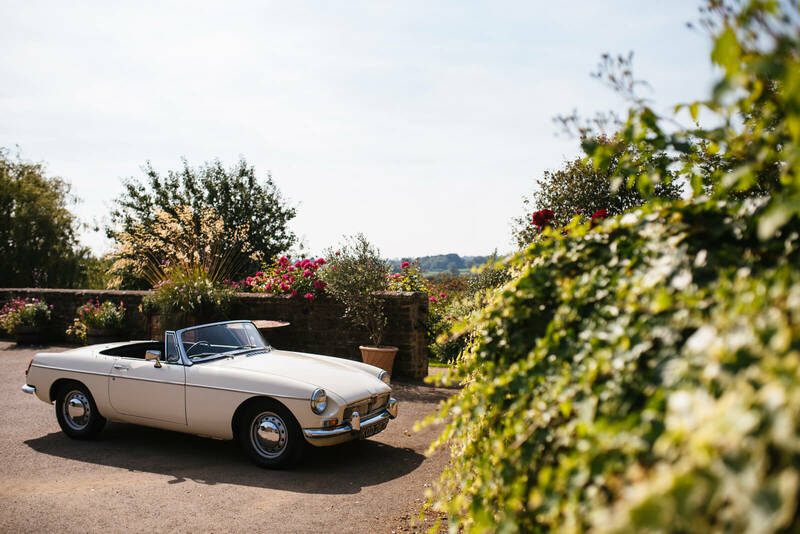 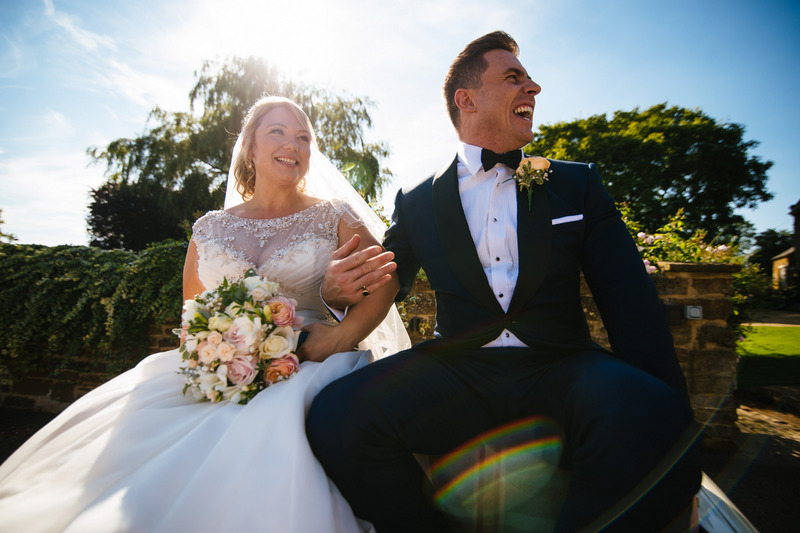 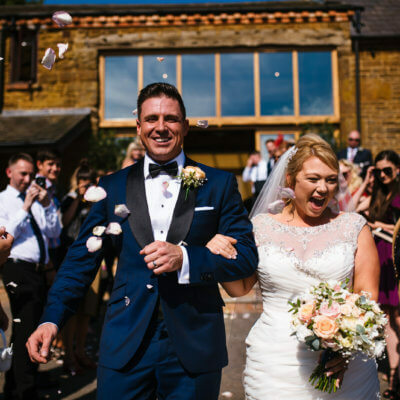 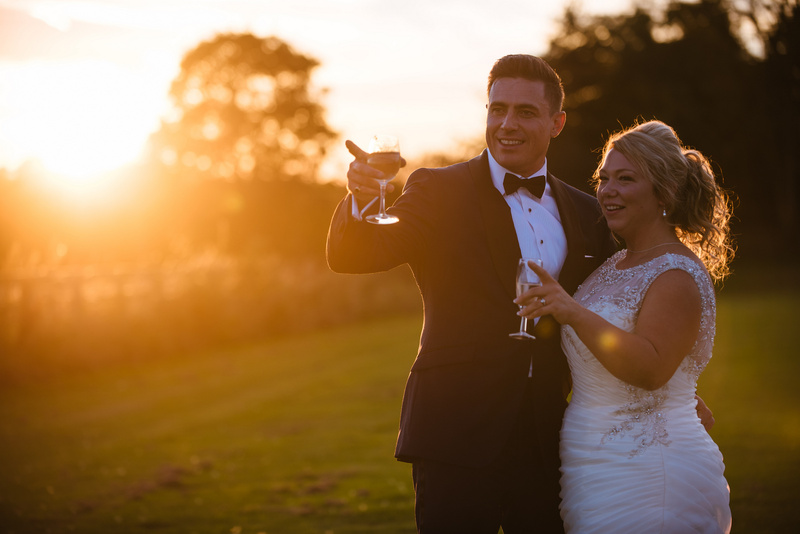 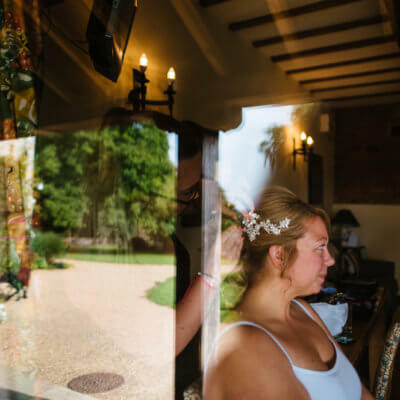 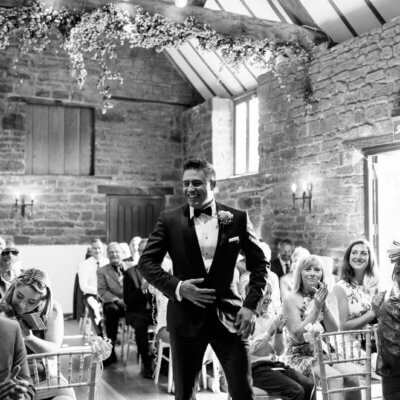 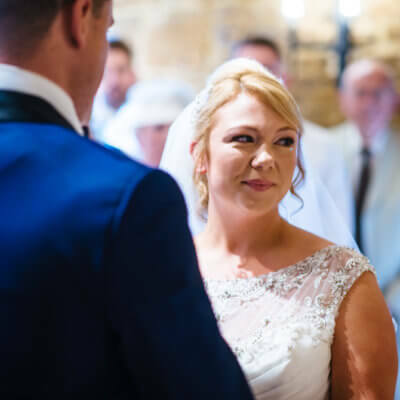 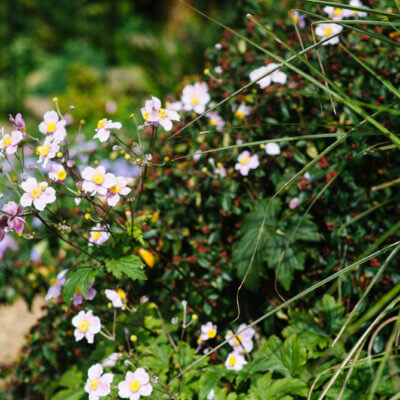 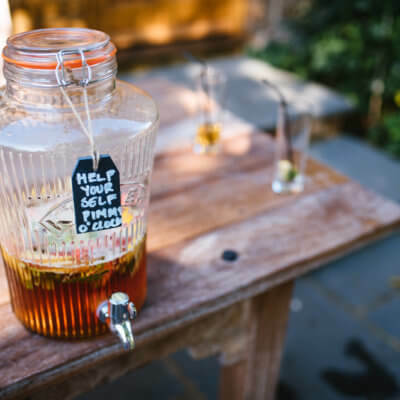 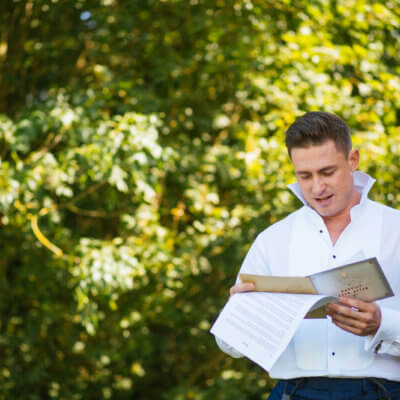 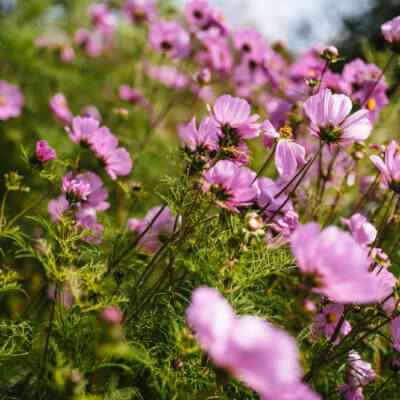 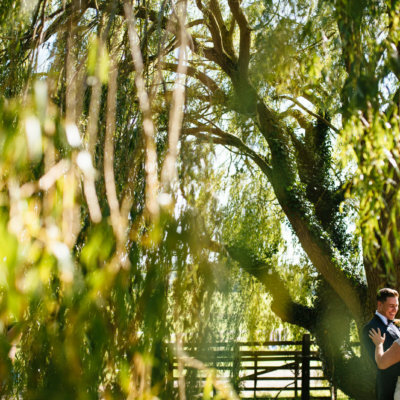 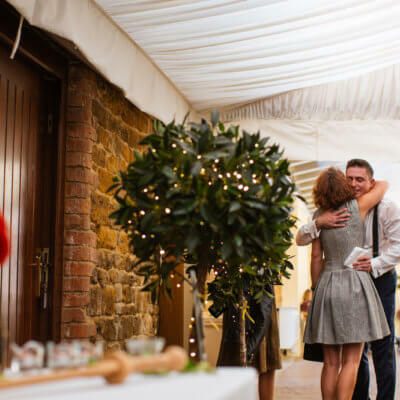 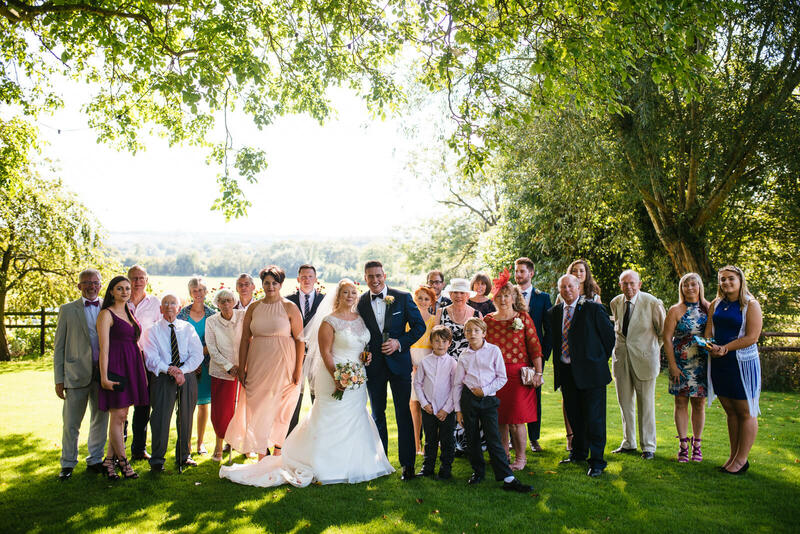 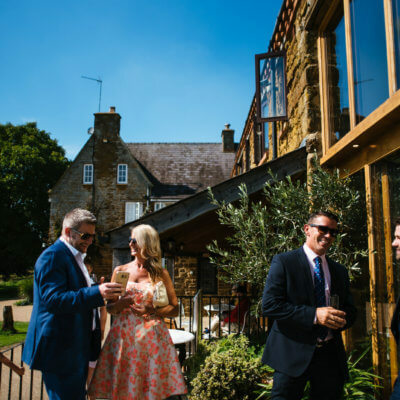 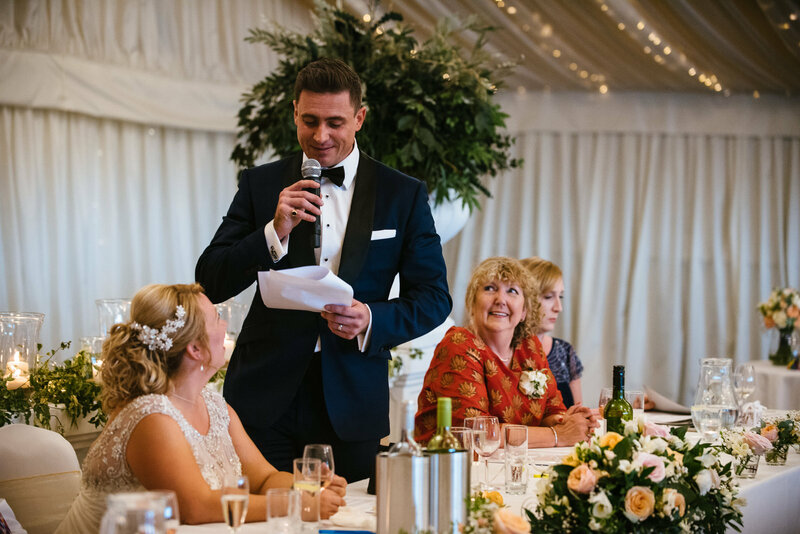 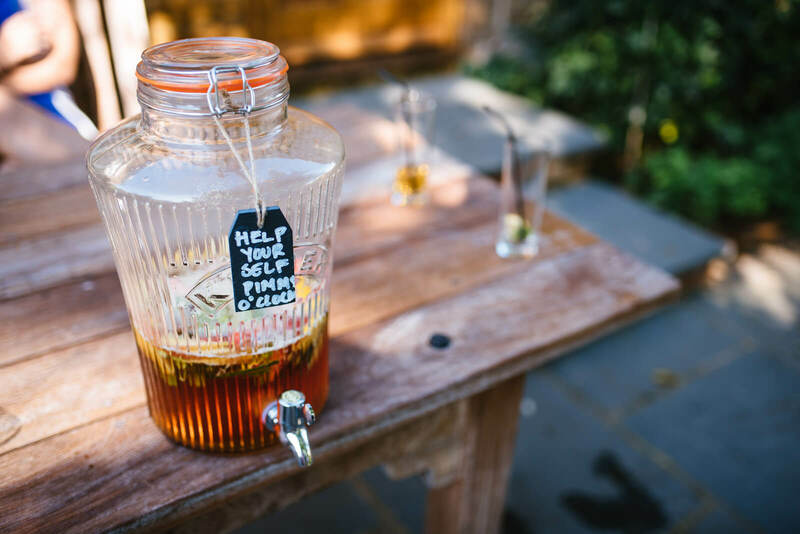 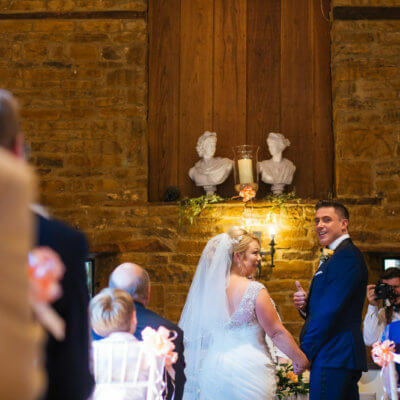 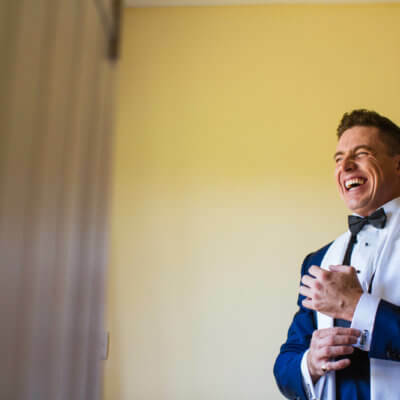 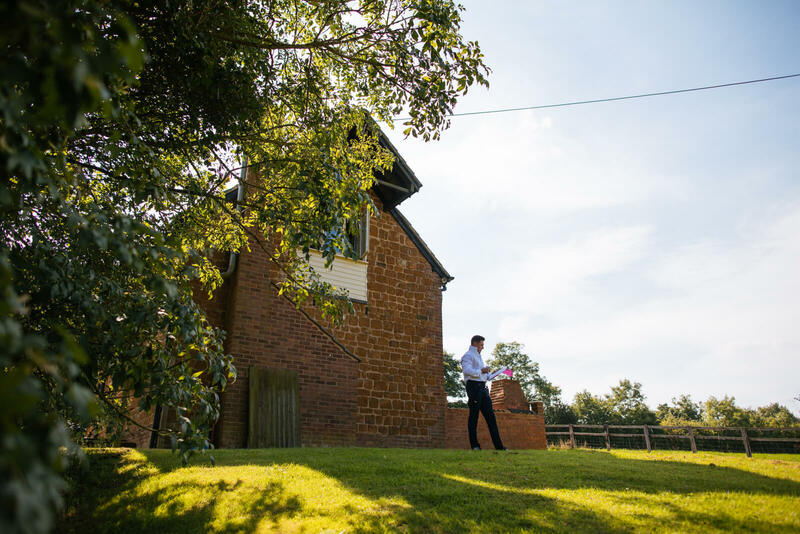 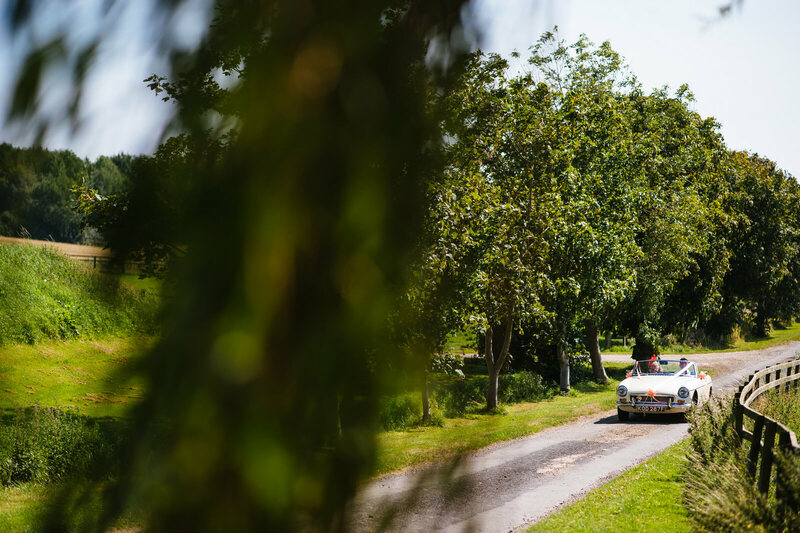 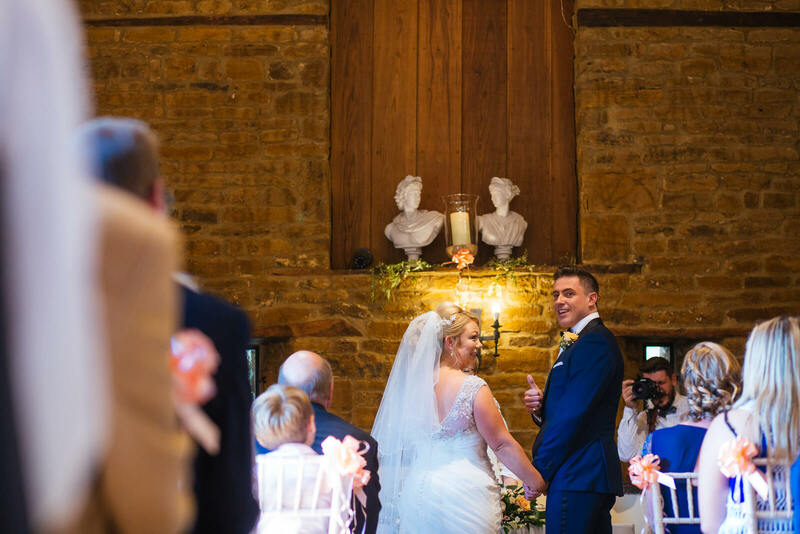 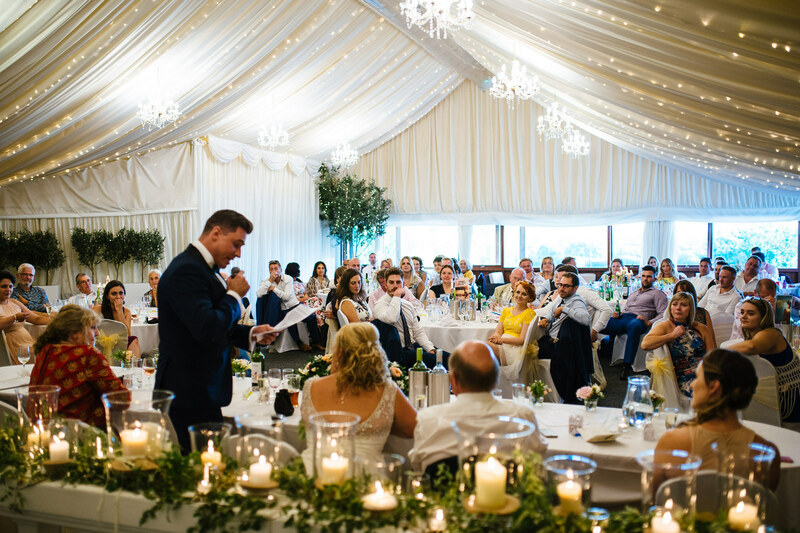 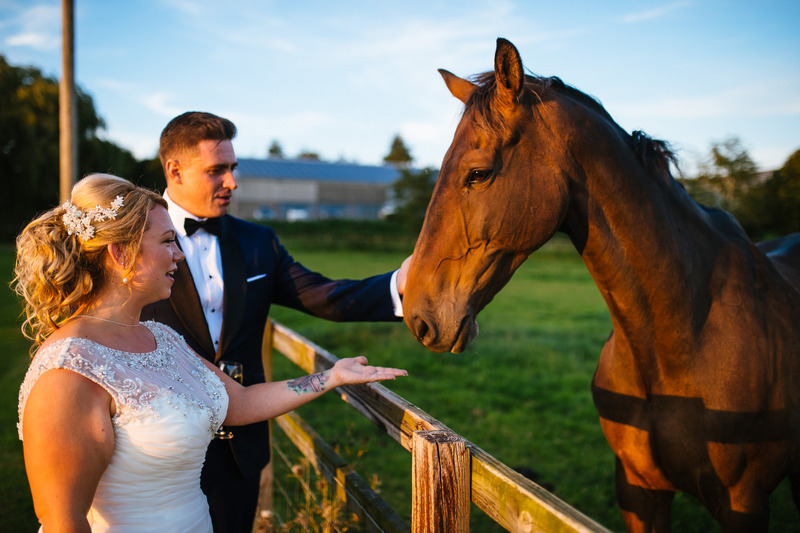 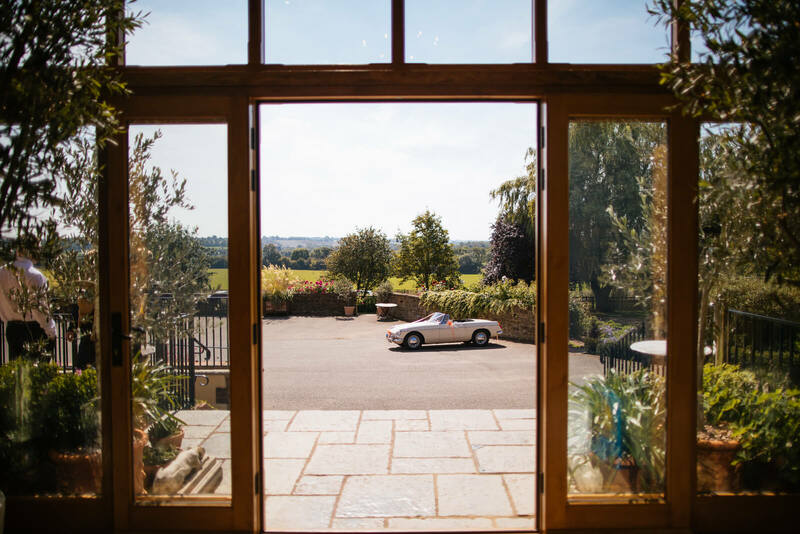 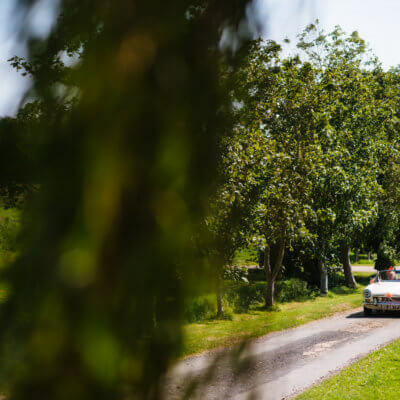 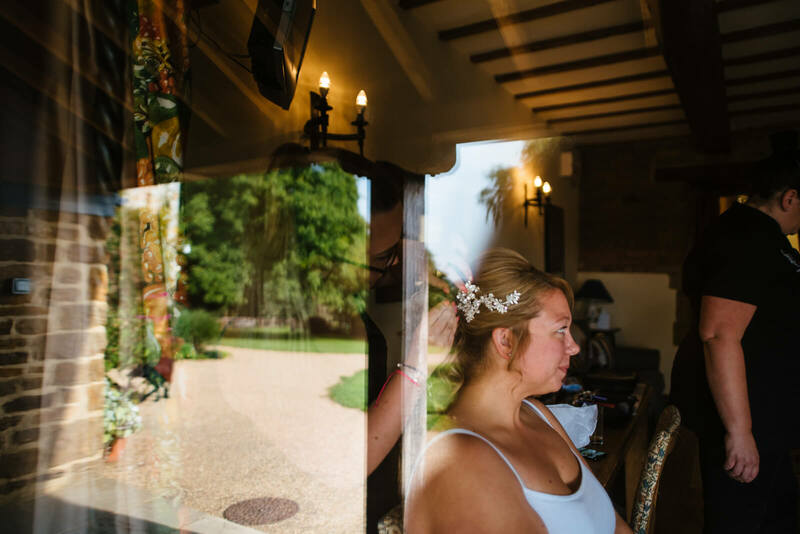 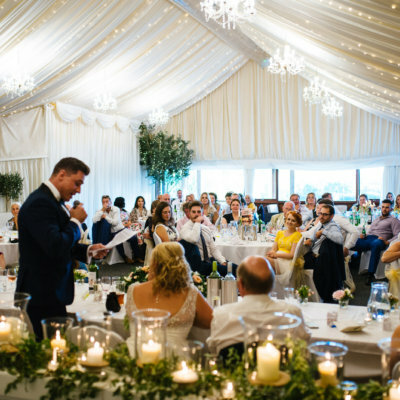 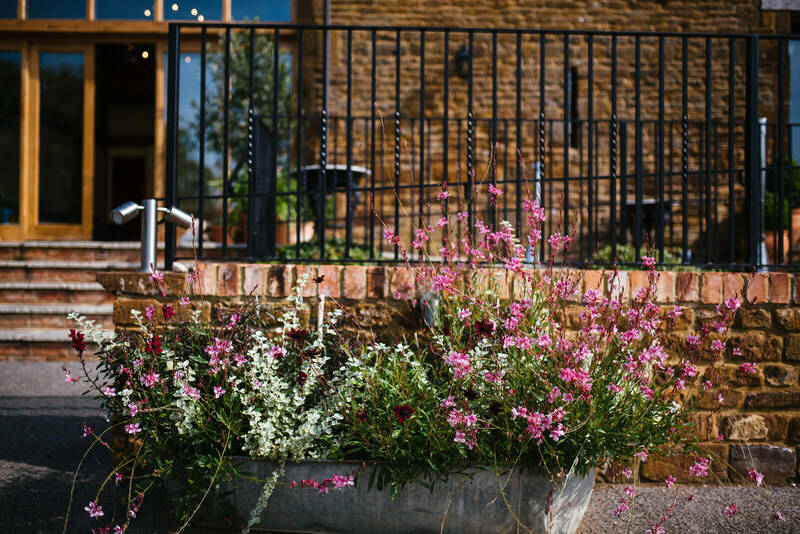 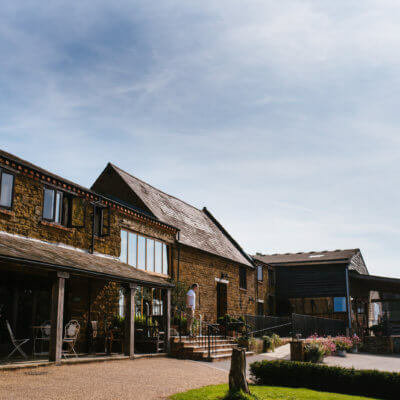 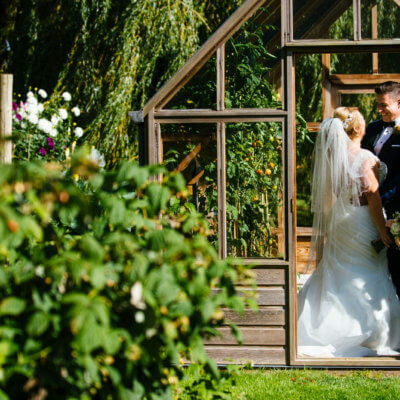 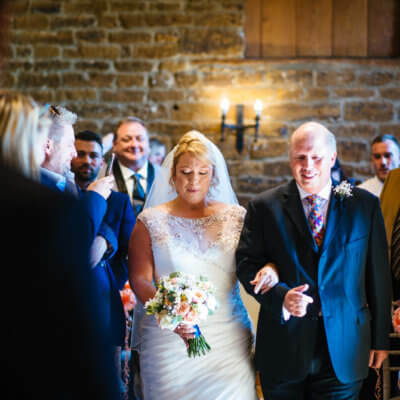 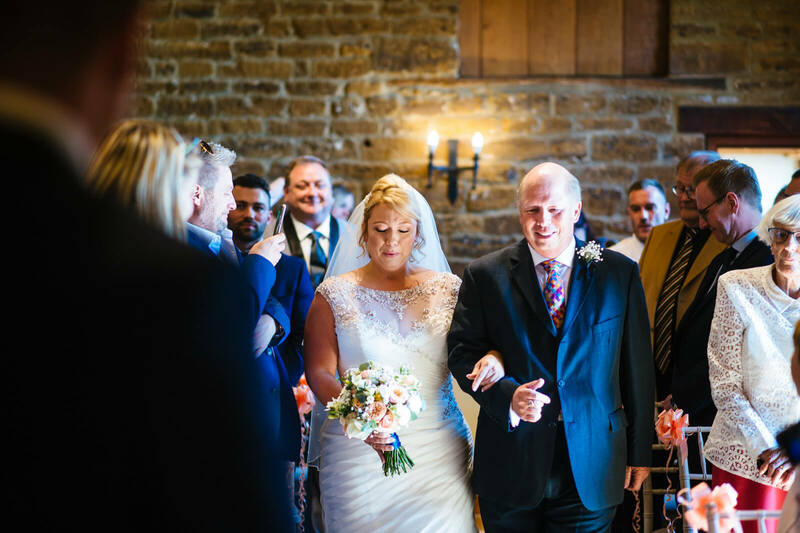 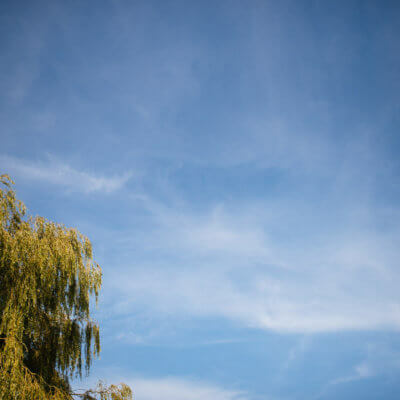 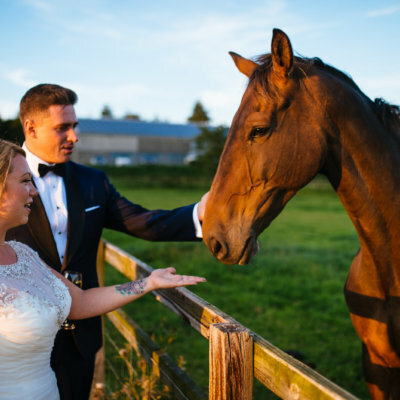 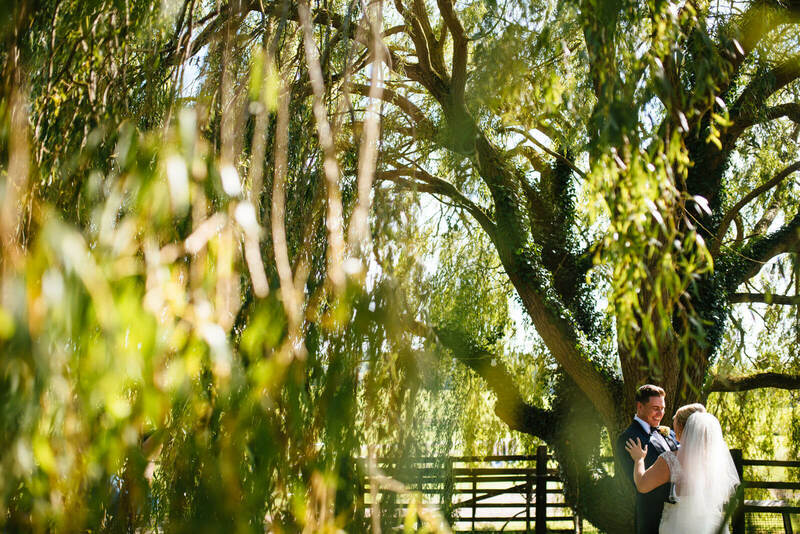 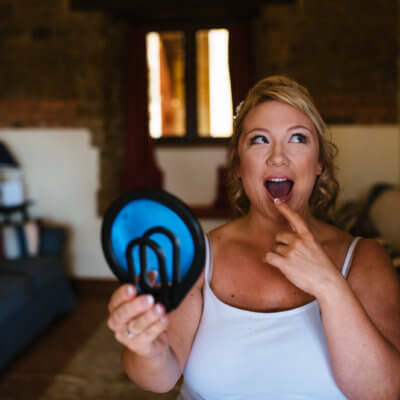 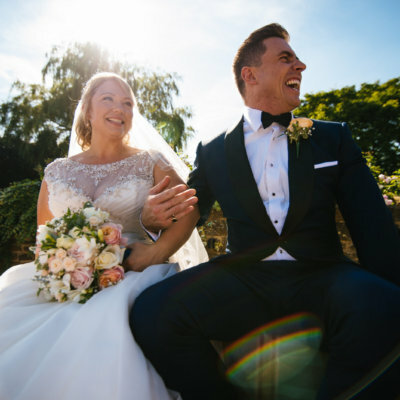 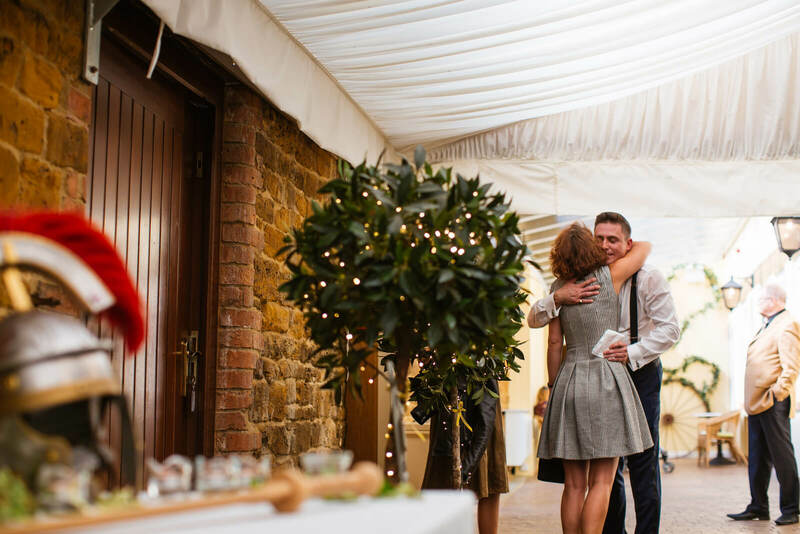 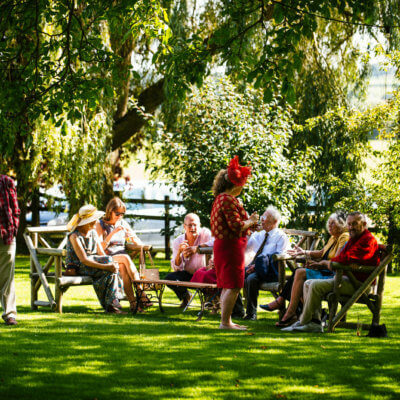 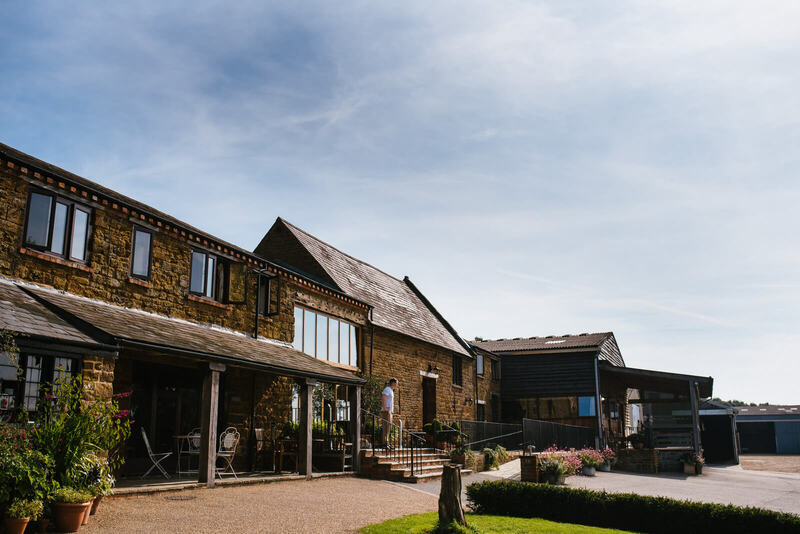 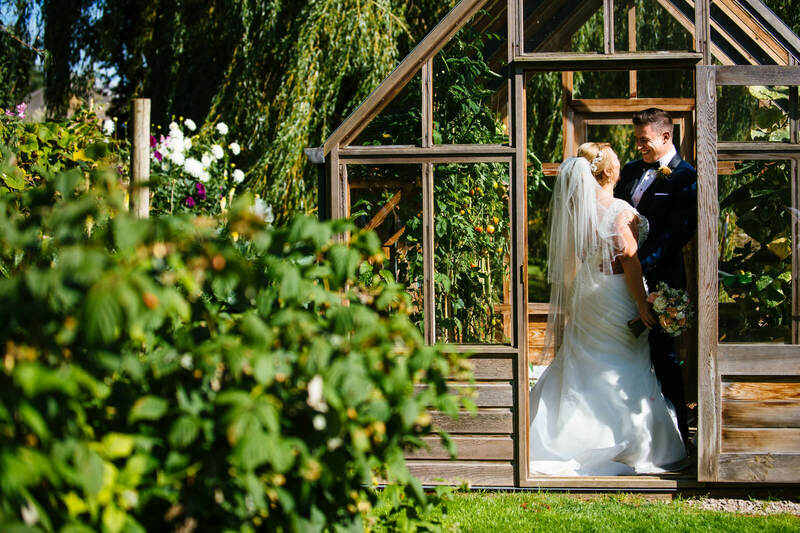 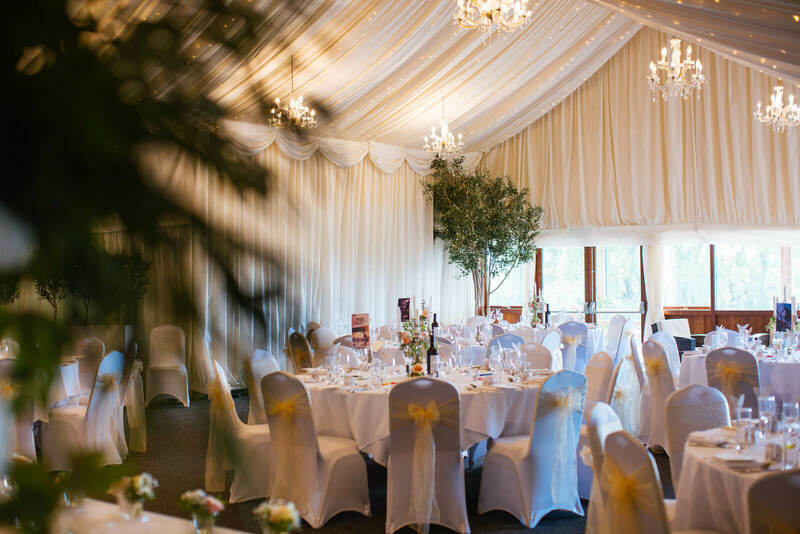 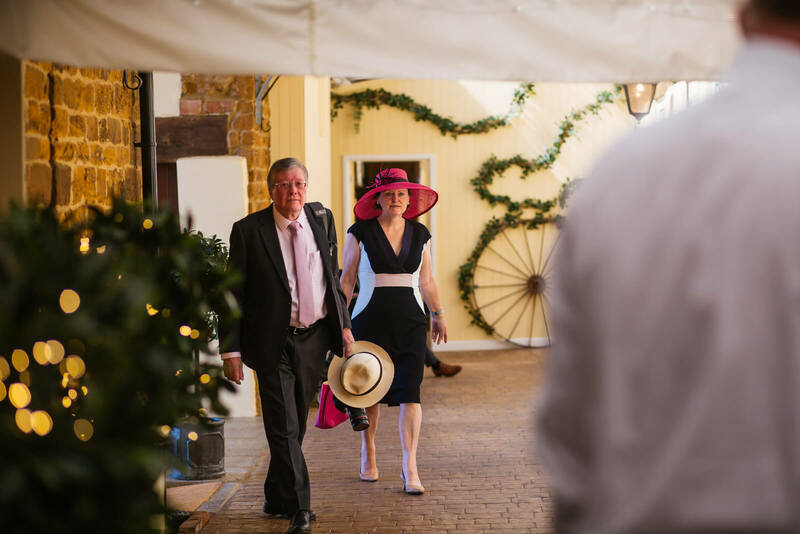 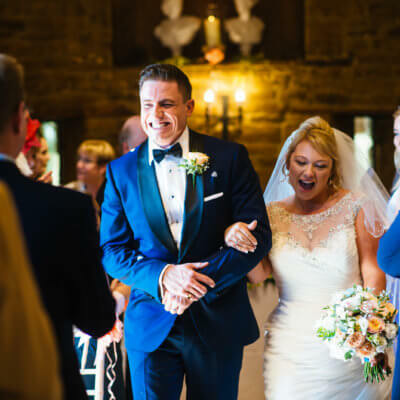 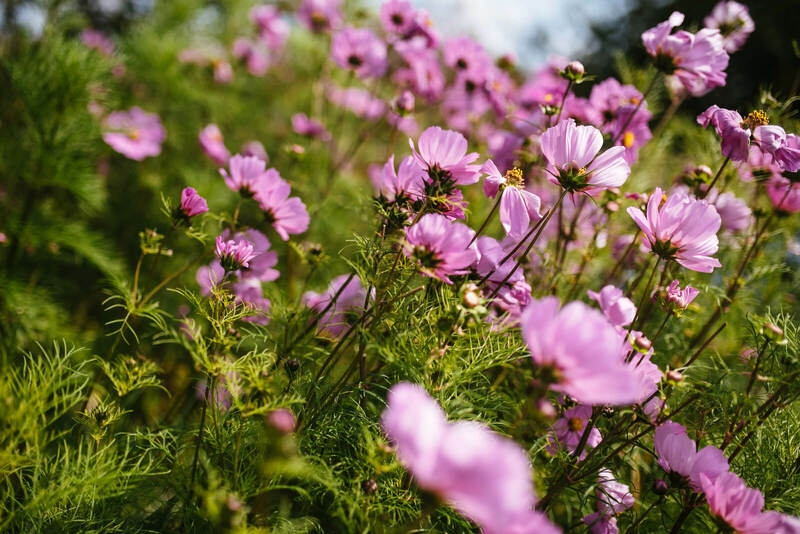 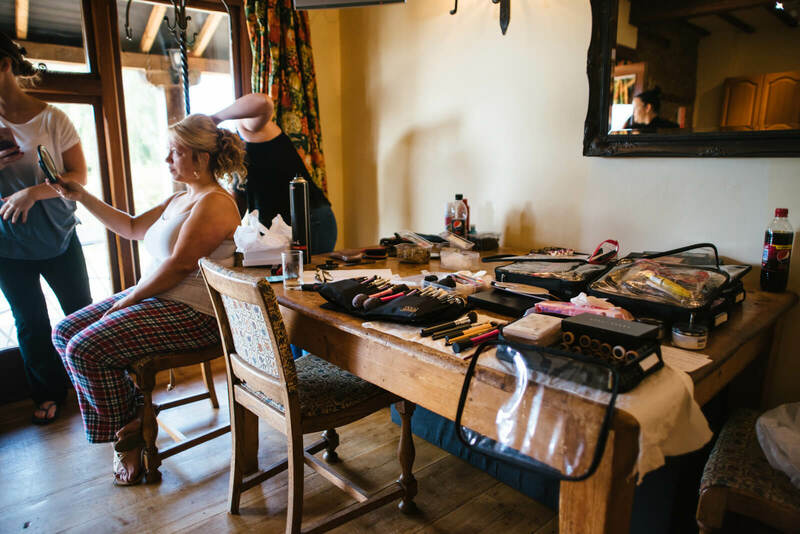 They enjoyed their drinks reception in the glorious sunshine sipping Pimms & Peroni, whilst Johnny Dent captured some amazing photos in Crockwell’s surroundings. 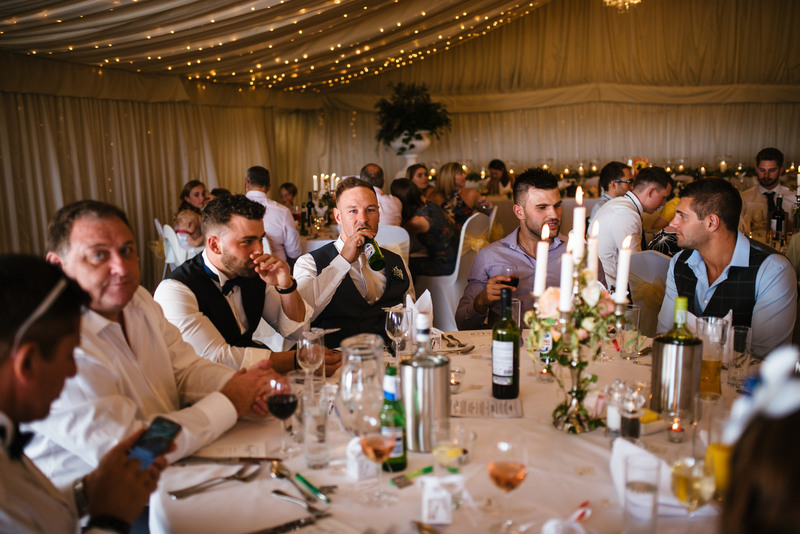 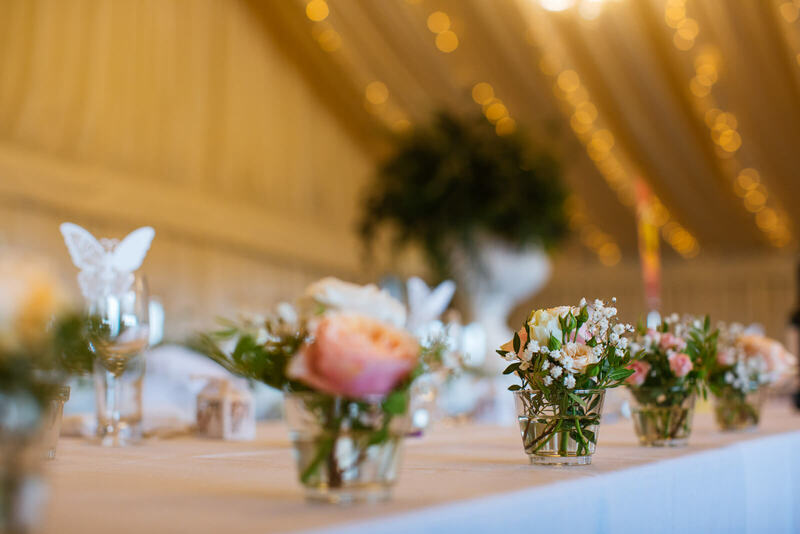 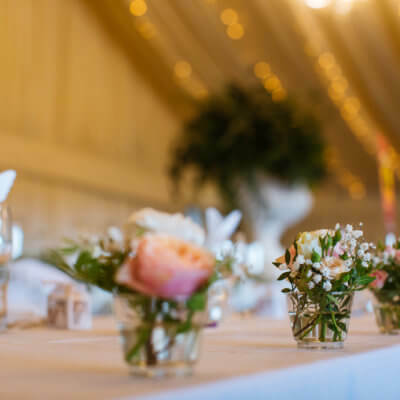 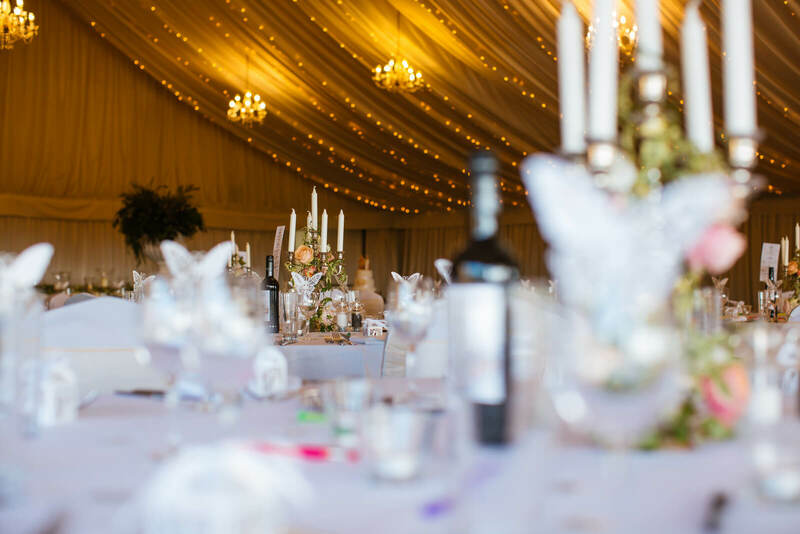 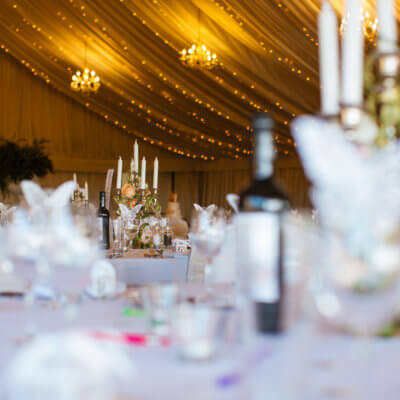 It was soon time to be seated and guests sat down in the main marquee for wedding breakfast served by The Chopping Block. 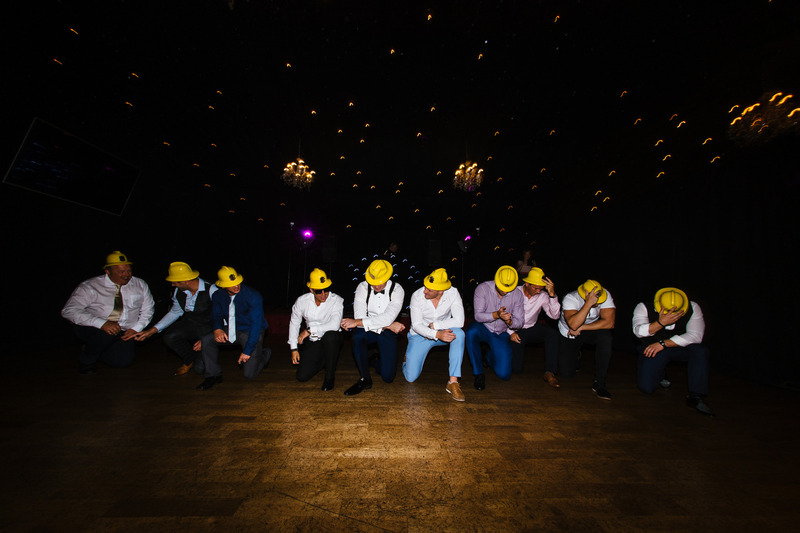 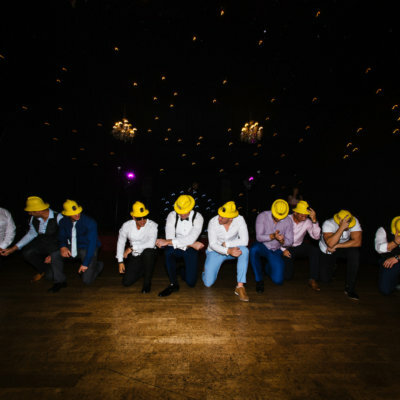 Later on everyone was in for a treat as Ian and his talented groomsmen provided everyone with some light entertainment on the dance floor! 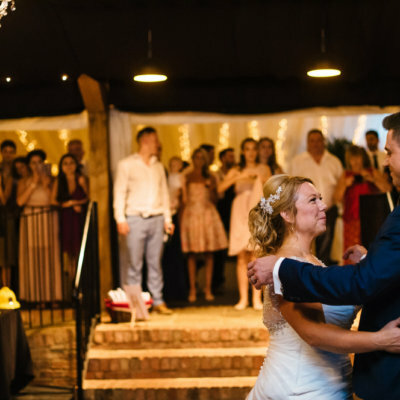 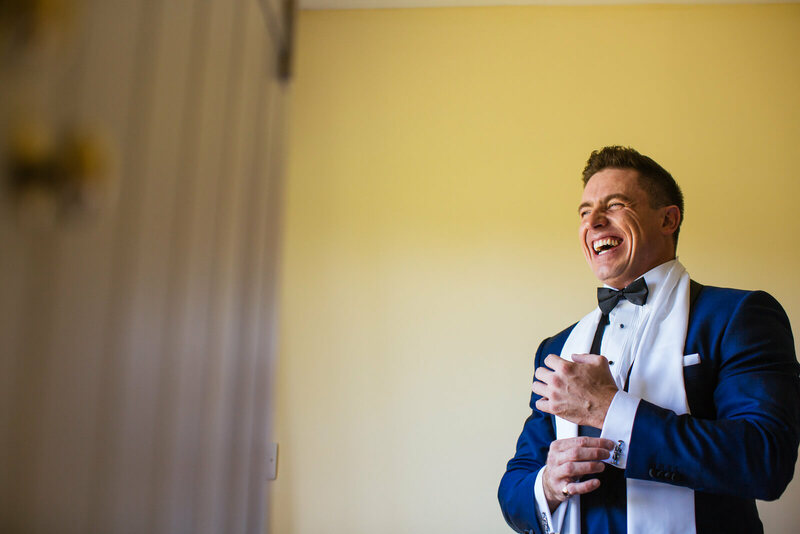 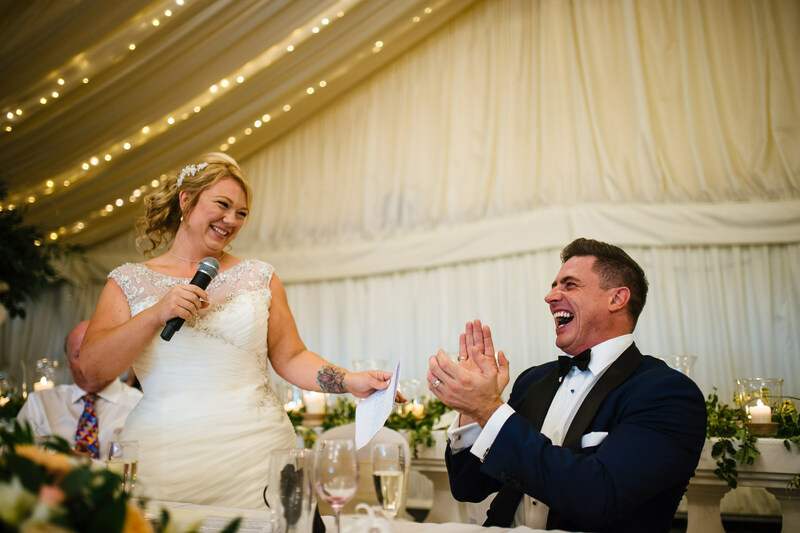 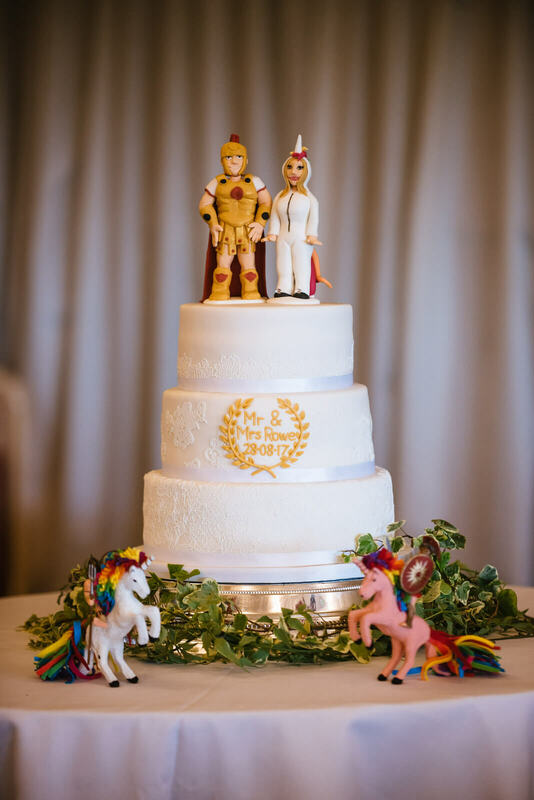 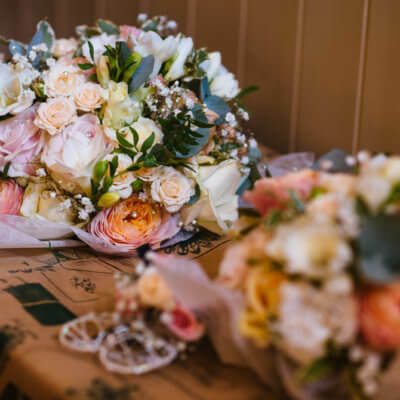 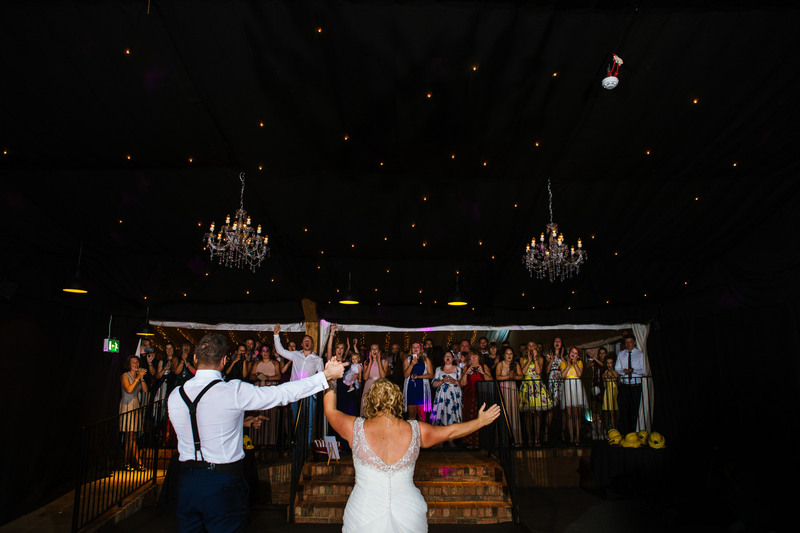 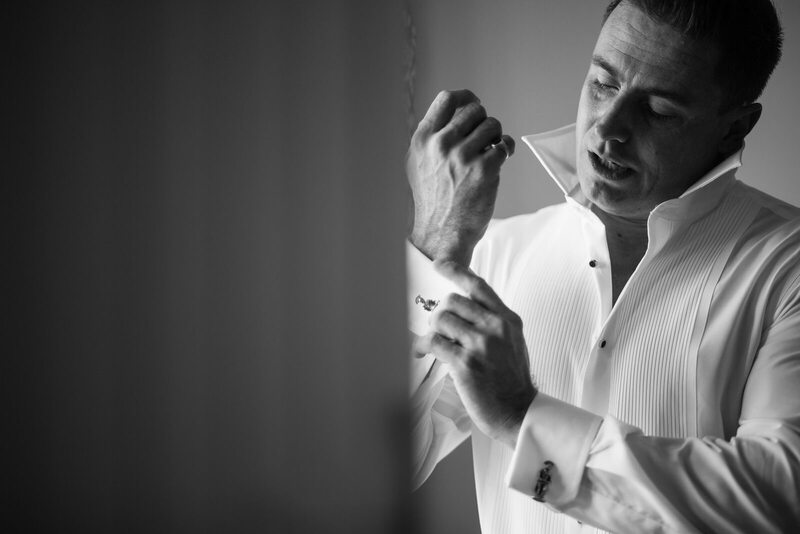 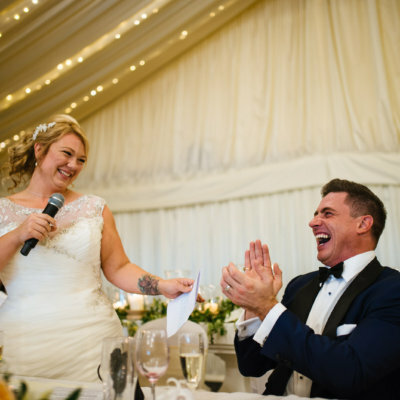 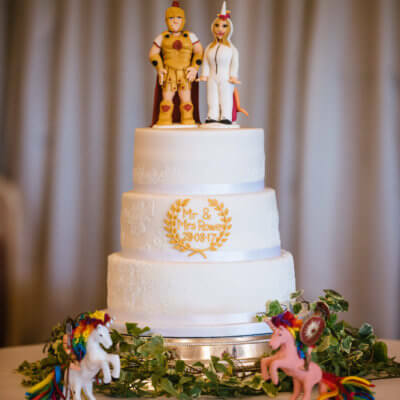 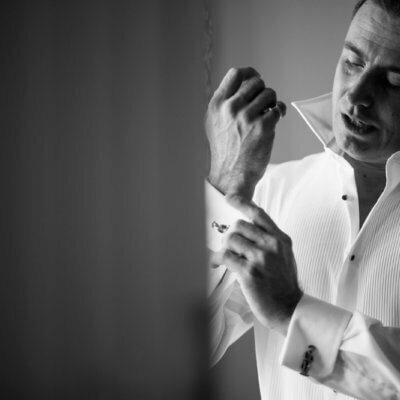 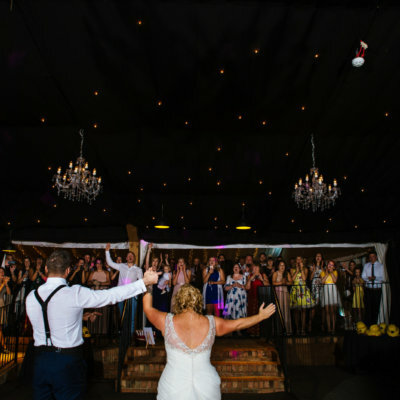 We really loved this wedding, you could feel the love in the air. 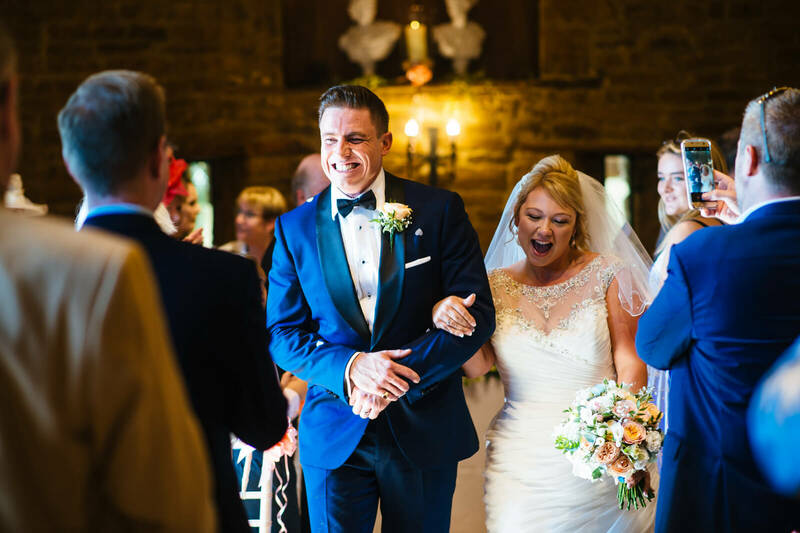 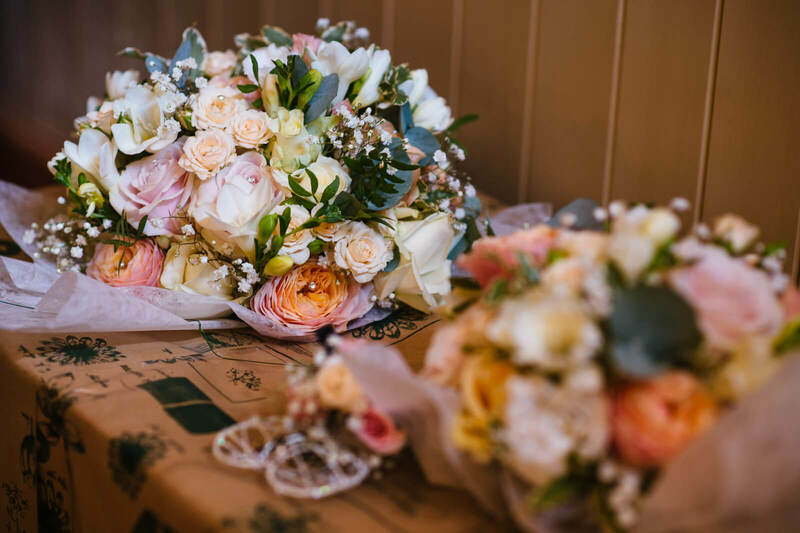 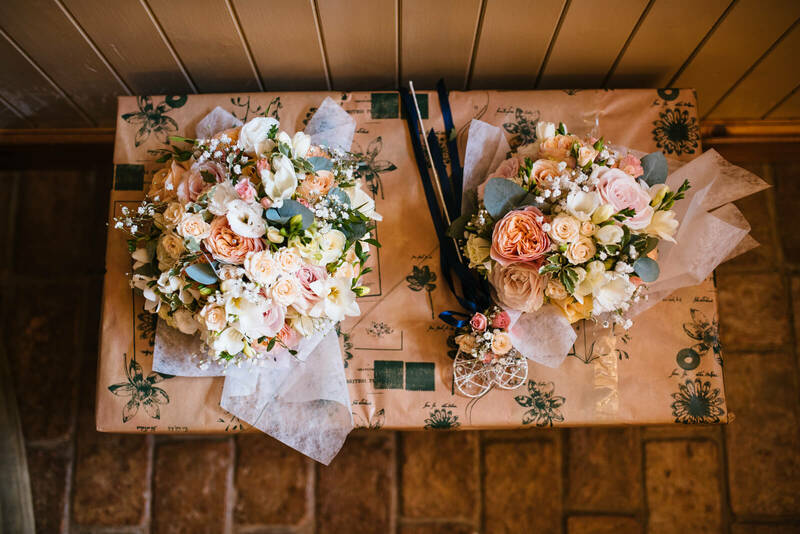 Massive thanks to Jenny & Ian, who just look so in love in these photos for sharing them with us, and for talented photographer Johnny Dent for capturing.